Trying to identify and help vulnerable customers is a recurring problem for utilities, and one for which a comprehensive solution is proving elusive. 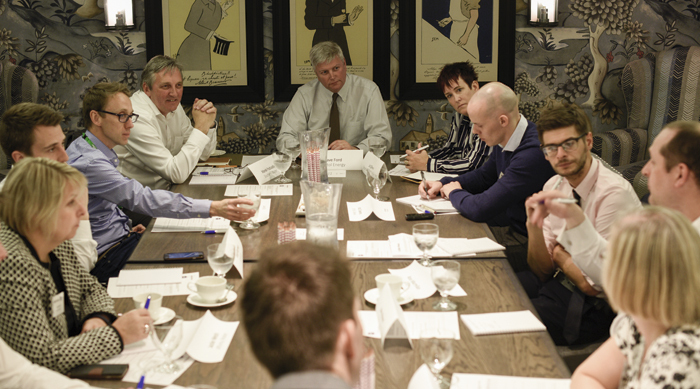 Josh Downes attended a Utility Week roundtable, supported by Allpay, that addressed the issue. The issue of how to identify and help vulnerable customers poses many challenges, not least how to build a robust and appropriate definition for what constitutes a vulnerable customer. Non-payment of bills may be the most visible way they can be identified, but attendees to a Utility Week roundtable, supported by Allpay, agreed that vulnerability was not synonymous with financial hardship. The criteria for identifying a customer as “vulnerable” can also include mobility issues, mental illness or even language comprehension. Attendees named data sharing as the first major barrier to handling vulnerable customers more efficiently. They also questioned how much of the responsibility for helping vulnerable people should rest with utilities, as opposed to government. Representing a range of energy suppliers and water companies, they agreed that government bodies are in a better position to intervene. For example, customers claiming universal credit could be flagged by the Department for Work and Pensions for social tariffs, with a portion of the credit then being made available to pay utility companies. The large energy retailers suggested that the NHS could also get involved. GPs could identify those experiencing hardship and “prescribe” them a social tariff. The rationale is that it would cost the NHS less than seeing individuals hospitalised due to health problems exasperated by energy poverty. However, everyone attending accepted that with current regulations being what they are, such free exchange of information between agencies is problematic. Data protection laws would need to be revised to enable such an initiative. There was hope that the move towards more principles-based regulation, and the introduction of the Digital Economy Bill, may lead to more attention being paid to the obvious benefits of information sharing. Identifying vulnerable customers is the first step, but there then needs to be a range of services on offer. Discussions on this area were held at length, with the energy and water retailers suggesting several potential methods and innovations. Flexible payment options offer a lifeline to customers who may experience temporary cash flow problems or struggle with regular billing. This idea was put forward by the water companies and supported by their energy counterparts. Entrenched billing practices need to be revised to formulate new approaches to payment. The energy retail representatives said prepayment no longer carries the negative connotations it once did, and there is a genuine demand for such an option, as demonstrated by the younger generation’s embracing of the format with mobile phone providers. Smart metering has the potential to help utilities assist the vulnerable. Beyond helping customers manage their usage, smart meters also provide the means for enhanced communication and potential to provide support on other vulnerability issues, such as mobility. For example, pressure pads and usage monitoring could alert care teams – via a smart meter – if any abnormalities occur. Water companies are further away from realising this kind of potential, but attendees agreed smart metering could enhance their services to the vulnerable. There were, however, concerns that innovations in smart technology and customer service could be stifled by too much regulation, including the proposed price cap. Ultimately, there was unanimous agreement from the table that customer service is the key factor in assisting vulnerable customers and fostering competition between utility companies. A means of quantifying the quality of customer service needs to established, with universal benchmarks giving a visible means for customers to make informed choices with regards to choosing their provider, beyond simple cost comparison. Defined metrics for measuring customer service would also allow regulators to establish a minimum acceptable level. As long as this level remained static, firms would then be free to compete above it. Collecting more than £6bn a year from more than 60 million transactions, Allpay Limited is a leading payment services specialist, offering the widest range of payment collection services. The major challenge in assisting those in need is finding a way to identify them in the first place. Vulnerability is often associated with financial hardship, but there are numerous ways in which customers may need assistance. Mobility, language comprehension and mental illness are all potential issues. The ability to share data on customers who may need assistance would allow utilities to act more quickly and save the customer the inconvenience of having to give consent to different providers. Current regulation makes data sharing difficult, while price caps and a move to principles-based regulation may deter innovation. Smart meters could be used to assist vulnerable customers, in terms of both communication and behavioural monitoring.